Your choice of carpeting is one of the most important decisions you will make when furnishing your home. Your carpeting choice is not only pretty much permanent, it is also one of the most expensive decisions you will make. So do choose the one you love, but also keep in mind the potential buyer in case down the road you decide to sell. Colour, style and functionality will all come to play some role in your final decision. Carpet is made of four different types of fiber: wool, nylon, polyester and a material known as Triexta. Each has distinct advantages and disadvantages. We here at Niagara on the Lake Real Estate would like to offer you a quick breakdown of each type of carpet. Wool has been used in carpets and rugs for centuries. It is luxurious and soft to the touch. Pure wool carpeting is hypo-allergenic and is the fiber to which all others are compared. Wool wears well and feels great to walk on. Unfortunately, it is also relative scarce, and because of its scarcity it is expensive. Most retailers do not even carry samples of pure wool carpeting because of its cost. In addition to its exorbitant cost, wool carpet stains easily, and stains are difficult to remove. Carpets made of nylon fibers have the largest share of all of the carpet choices available. Nylon carpet is stain resistant and comes in a large variety of colours and styles. Nylon fabric is resilient and it wears well. 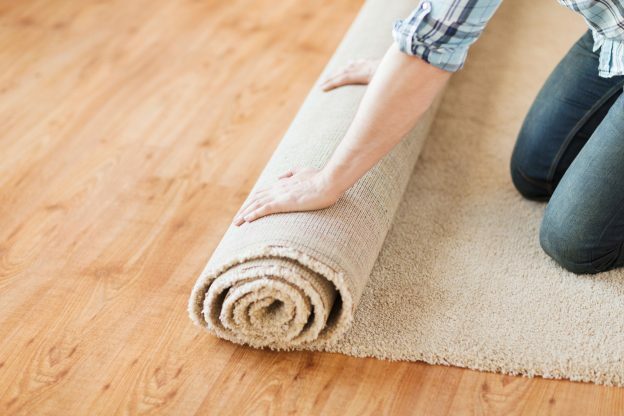 Because of its resiliency and ease to clean, nylon carpet can be used in virtually any room in your home and under all types of circumstances. Polyester carpet is the most environmentally friendly carpet on the market. Most polyester carpet is made from recycled plastic bottles. The colouring process takes place in the transformation stage, and thus the colours in polyester carpet are quite vivid and resist sunlight very well. This type of carpet cleans very well and is virtually stain resistant. Polyester carpet also costs less than nylon carpet, but does not have the same resiliency as the nylon. Triexta fiber carpet is relatively new to the carpet world and has gained popularity over the past few years. It is related to polyester carpet but is recognized as a unique synthetic fiber. Similar to polyester carpet, it is very stain and fade resistant. Triexta carpet is available in a wide range of colours and styles and is as resilient as nylon carpet. Its price point is also below that of nylon fabric and perhaps that is why it is gaining in popularity. When it comes to choosing the right style of carpet, these are the four makes from which you will be choosing. Do keep in mind that each make and brand of carpeting has a different warranty and set of cleaning instructions. Remember to pay close attention to the fine print in these warranties and ask the right questions so that you are fully satisfied with your choice and purchase. If you are on the market for a new home with beautiful carpeting, be sure to have Niagara on the Lake Realtors on your side. This entry was posted in Blog, Uncategorized and tagged carpet on June 12, 2015 by wp_admin.